LINCOLN, Neb. — After a week to recover and focus on themselves, the Huskers got back to their normal game-week schedule with a practice Tuesday afternoon. After they finished, the defensive staff and players previewed their upcoming showdown with one of the best offenses in the Big Ten in Indiana. Cornerbacks coach Brian Stewart said he is pretty familiar with Indiana’s offense because of its similarities to what they ran at Houston while Stewart was there. Indiana has been known for its passing – and the Hoosiers are first in the Big Ten at 293 yards per game through the air – but as Banker said, the rushing attack is what makes them so dangerous overall. Like Fresno State and Oregon, the Hoosiers try to speed things up and play at a very fast tempo. “I think they’re very similar [to Oregon], watching them on film and then watching the game on TV and then kind of putting a clock on them, they’re very similar” linebackers coach Trent Bray said. How did the Huskers handle that tempo against the Ducks? Senior linebacker Josh Banderas said the Blackshirts are looking forward to the challenge the Indiana offense will provide. >> According to Banker, the Huskers will have to be careful with their signs during the game as the Hoosiers look to them to key what they will do on offense. >> Stewart said having Tulane transfer Tanner Lee on the scout team will give the Huskers a look at what 6-foot-6 Indiana quarterback Richard Lagow will bring to the field. “Any time somebody has a live arm, that can go deep, that can go to the short ones in tight windows, it helps you because you don’t want the first time you see that ball thrown into a tight window to be on Saturday,” Stewart said. >> Wide receiver Jordan Westerkamp and tight Cethan Carter sat out of practice in street clothes, while running back Devine Ozigbo did some running on the side. All three are doubtful for Saturday’s game. 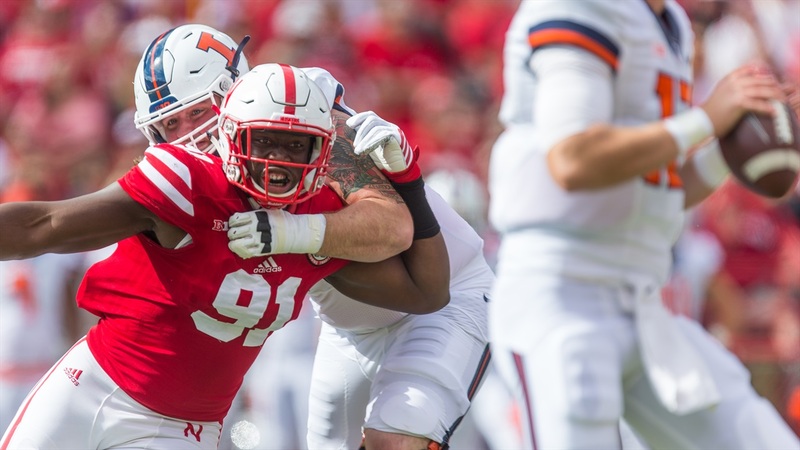 >> The Nebraska pass defense is allowing just under 95 fewer yards through the air per game this season, and Stewart said the main sources of improvement are comfort and confidence. Junior cornerback Chris Jones in particular has taken big strides from last season, and if he continues to play at the level he is now, the NFL could be an option for him. However, Stewart doesn’t want to hear anything about that until 2018.